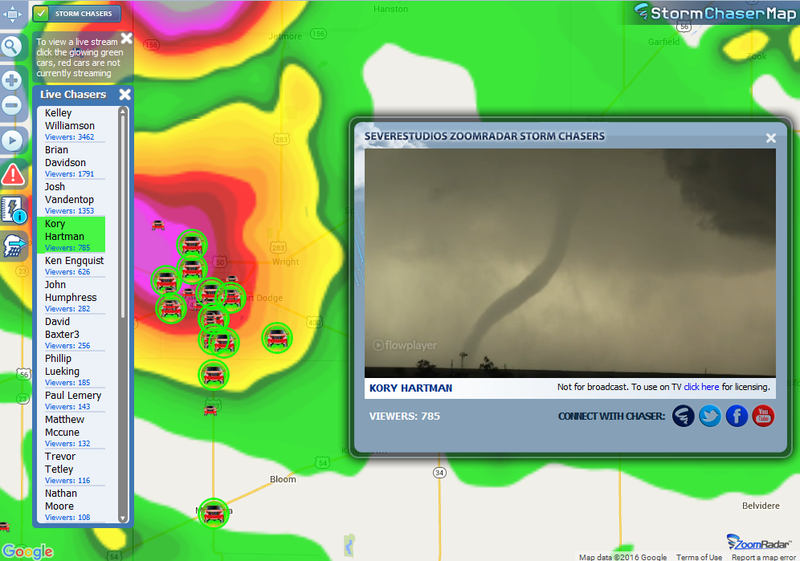 Join the most Popular Storm Chasing Platform in the World! Simply put our SevereStreaming platform is state of the art. We use the very latest cutting edge technology for the smoothest streaming experience at high bit rates. Our cloud technology handles dozens of concurrent streams with tens of thousands simultaneous viewers. These streams are distributed to media websites all across the country. So if you are looking for visibility there is no better place than the ZoomRadar Chaser Map! 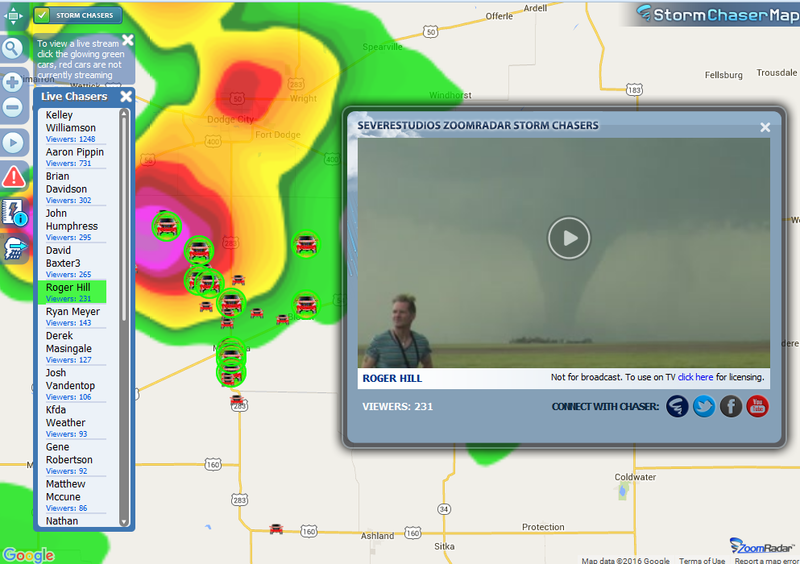 Our streaming platform is a joint venture between SevereStudios Storm Chasers and ZoomRadar Interactive. If you want to sell your streams & video to national and local media our team can do that for you as well.